More than 1 million consumers cancelled their cable or satellite subscriptions in the third quarter of 2018, dramatically increasing the pressure on cable and satellite providers to generate new revenue streams. Satellite operators, DirecTV and Dish Network Corp. (“Dish”), lost the most customers with more than 725,000 subscription cancellations between the two giants. The total 2018 subscriber loss for cable and satellite television providers amounts to more than 2.8 million. I’m sure most of you have heard the term “cord-cutter,” which describes the phenomenon of consumers cancelling traditional pay-TV subscriptions in favor of cheaper streaming services, such as Netflix and Hulu. However, as more and more young consumers enter the marketplace (millennials, if you were wondering), the term “cord-nevers,” may be more appropriate. DirecTV and Dish have responded to traditional subscriber losses by launching their own streaming services, known as “skinny bundles.” Dish launched one of the first skinny bundles, Sling TV, back in 2015, with DirecTV launching its skinny bundle, DirecTV Now, in 2016. Skinny bundles are hybrid digital media packages which provide streaming services, like Netflix, but also pay-TV “multichannel” services, like traditional cable or satellite. Skinny bundles are just that…skinny. They offer customers a slimmer live TV channel offering, and on-demand streaming, for a cheaper price. Customers are also offered the ability to customize their bundles with premium add-ons, such as HBO and Showtime. In addition to the attractiveness of cheaper monthly costs, the hallmark of these skinny bundles is the consumer’s ability to stream programming on different devices (smart phones, computers, and smart TVs). Of course, Sling TV and DirecTV Now are not the only games in town. Other skinny bundle providers include the PlayStation Vue, YouTubeTV, fuboTV, and Hulu, among others. While DirecTV Now and Sling TV subscriptions have been growing, their growth has not been fast enough to offset the rapid decline in traditional subscribers. Digital pay-TV subscriptions, predominately comprised of skinny bundles, grew by only 414,000 subscribers in the third quarter, down from 909,000 subscribers added in the third quarter of 2017. 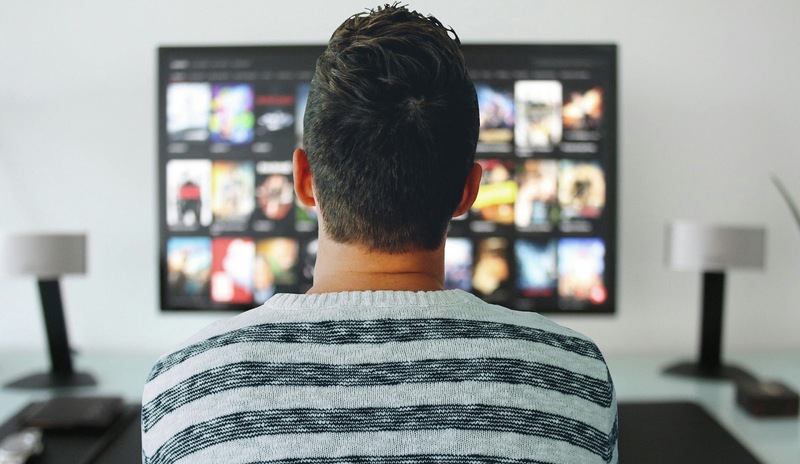 As cord-cutting by older consumers continues to increase, and more and more cord-nevers enter the market, it will be interesting to see if skinny bundles are the answer to the mass exodus from traditional cable and satellite television.